Cargo hold cleaning from WSS. Maritime safety products and systems can entail everything from a sophisticated integrated bridge system down to cleaning products for the galley. Here are a few recent introductions that appear particularly topical in the never-ending push for safer ships and crews. Under normal circumstances it would be hard to imagine a a mariner or rig worker who would want to be in the freefall lifeboat to the left, but in an emergency that blaze orange tube is likely the most beautiful ride at sea. 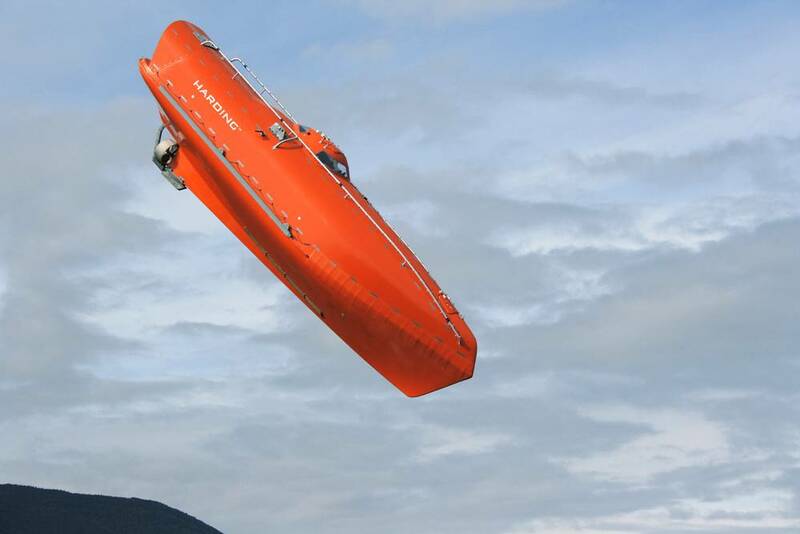 Harding Safety announced last month that its FF1200 lifeboat pictured is the first on the market to receive a Statement of Compliance (SoC), issued by DNV GL, stating that this boat is in accordance with the new standard for lifeboats on the Norwegian shelf, DNV-OS-E406. The Statement of Compliance from DNV GL also confirms that the FF1200 meets the requirements of Statoil’s extended standard for freefall lifeboats; GL0437. The need for fire protection on a vessel is no joking matter, not even for a vessel traversing the path of one of the highest water flows in the world. The Niagara Falls tour boats are the stuff of legends, and when it came time to retire the iconic Maid of the Mist Niagara Falls tour boats, Hornblower Niagara Cruises went looking for replacements that would be ultra modern in performance and safety. With that it had a pair of 700-passenger, 86 ft. catamarans built by Hike Metal – christened Niagara Wonder and Niagara Thunder – to navigate the churning, rock-strewn waters 6,000 times a year. 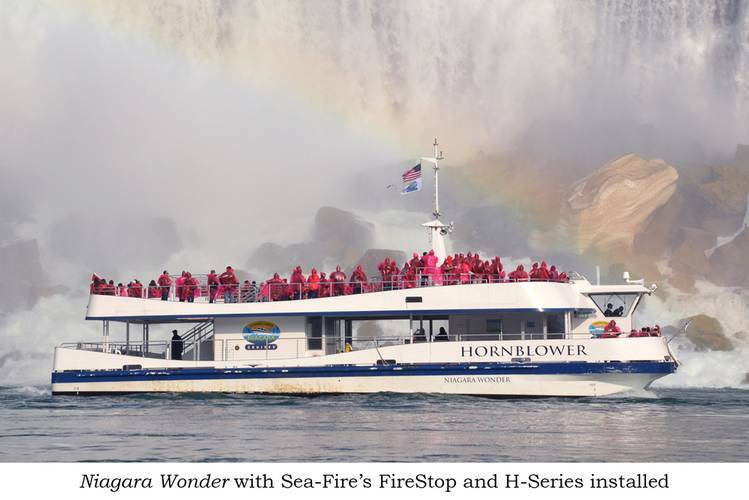 For fire protection Hornblower chose Sea-Fire’s FireStop Detection System and H-Series Engineered Fire Suppression. Custom designed, the integrated FireStop system continually monitors cylinder pressure, fire, heat, smoke and carbon monoxide and provides early warning notification. FireStop can automatically shut down engine and ventilation systems upon suppression discharge. Keeping a clean ship in terms of mechanical operaiton is one thing, and a wholly different matter when it comes to the health and welfare of crew. 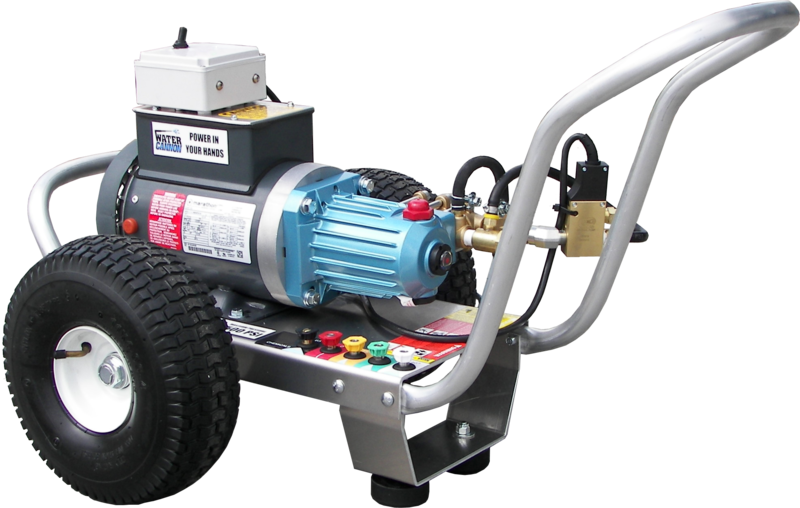 The Water Cannon Pressure Washers is designed to deliver a wide swath of low pressure 180 degree F. hot or ambient temperature water injected with 5.25% sodium hypochlorite (household bleach) and calcium hypochlorite (bleach powder). This application for 10 minutes on concrete, brick, stone or metal surfaces will kill viruses including influenza, the manufacturer claims. When attention does turn back to keeping ship and systems clean, Wilhelmsen Ships Service (WSS) offers what it calls an upgraded cargo hold cleaning solution, combining cleaning agents and mobile equipment to help owners, operators and crews stay safe and compliant. Increasingly, port turnaounds are faster and customers are demanding consistent cleaning regardless of location. WSS offers a solution that it believes will help, with cleaning products made for purpose and highly concentrated for more cost effective cleaning; equipment designed to be low-maintenance and durable. Best yet, it comes in a kit that includes everything the crew needs, and it is easy to assemble and ready to use. 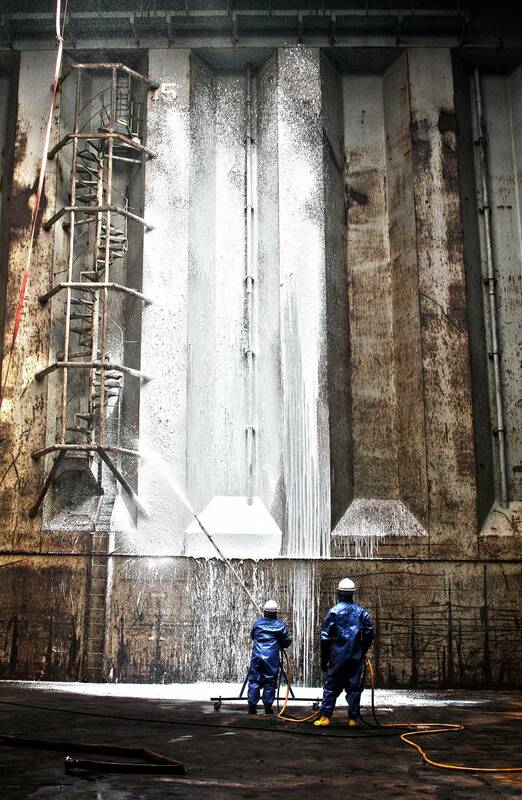 The process of cargo hold cleaning is more regulated than ever, and cleaning agents discharged with waste water must be environmentally benign. Earlier this year at SMM there was an avalanche of new system debuts, including the Kelvin Hughes new combined camera and radar Single Mast Solution (SMS), which is designed to be a rapidly deployable, all-weather, port and harbor security radar and multi-optioned electro-optical system. With a simple mounting interface the SMS is designed to be securely attached to any mast system – whether portable, vehicle-mounted or on a fixed structure. Fitted with the SharpEye SxV radar and integrated with a wide range of electro-optical sensors, the SMS is designed to suit many operational requirements. Additional mounted options include thermal imaging cameras, long range and/or low-light optical sensors and even searchlight or loud hailing systems.